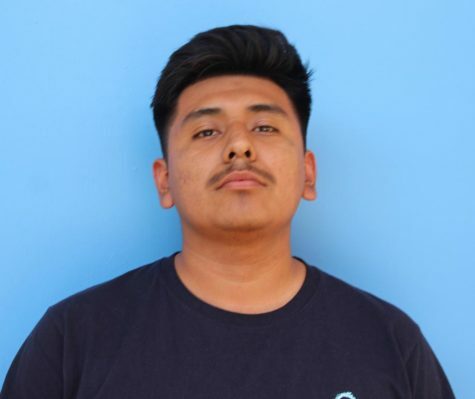 Gustavo De la luz is a senior at Birmingham Community Charter High School. He has been attending Birmingham since his freshman year even though it isn't his home school. His home school is James Monroe High School but he didn't want to attend that school because he felt like he could get more opportunities at Birmingham. Gustavo wants to be rich when he is older. In order to achieve that goal, he needs a good education. He is currently trying to get into a good four-year university, preferably UC Santa Cruz. He is still undecided on what he wants to major in. He is currently in the BCCHS Knights and Ladies Club. He decided to join Knights and Ladies because he likes to help out his community, help other people, and because it looks great on college applications. He played volleyball in his sophomore year at Birmingham. He decided to join volleyball because he wanted to experience playing a different sport and also because he wanted to meet new friends. He stopped playing because he wanted to focus more on his grades. His favorite type of food is Mexican food. He can eat tacos every day if he had to. He likes to spend a lot of time with his family and with his friends. In the future he wants to travel all over the world. Some countries that he would like to travel to are: Japan, Germany, England, Spain, and United Arab Emirates. He wants to learn about other people's cultures and their history. His favorite sport is soccer but he stopped playing. He likes to listen to rap and R&B. His favorite shows are The Flash and Narcos. He is currently waiting for the fifth season of The Flash to air out on the CW network. He is very outgoing and likes to meet new people.